Crunchy cornmeal crust with layers and layers and layers of paper-thin sweet potato slices, each coated with cinnamon sugar and butter. Yum. 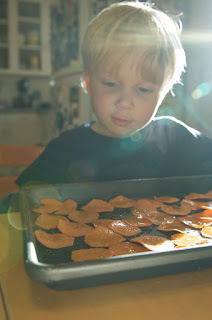 We made chips with the leftover sweet potato slices. 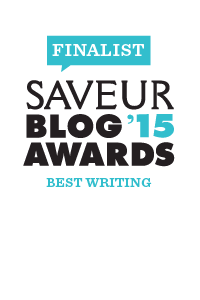 This is a sweet tart intended for dessert. See details at the bottom if you want it to be a savory tart. 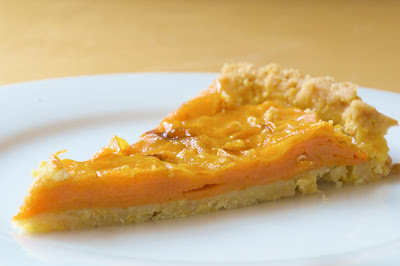 Use corn flour instead of cornmeal for this tart if you don't like the crunch of cornmeal. Use a 9 or 10 inch tart pan. Mix flour, cornmeal and salt in a bowl. Cut butter into 1/2 inch chunks and toss into dry ingredients. With your fingers or a pastry cutter, slowly incorporate the butter into the flour mixture until the butter chunks are the size of peas. Add half the cold water and mix it in with a fork. Add more water if you need to, enough so that when you squeeze the mixture in your fingers it's just moist enough to form a dough. Empty onto a large piece of plastic wrap. Use the sides of the plastic wrap to press the dough into a disc. Wrap tightly and refrigerate for a few hours. Preheat oven to 350° F. Remove dough from fridge and let it warm up for a few minutes. Scatter some flour on your counter (and rolling pin and dough if needed) and roll out dough until it's a little bit bigger than your tart pan. 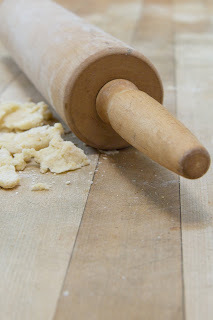 Roll the dough up onto the rolling pin and roll it back out into the tart pan. Don't worry if it falls apart at all. You can just patch tears and holes as needed. Press the dough into the tart pan, press off excess scraps, and put it into fridge until the sweet potatoes are sliced. Combine sugar and cinnamon in a bowl. Peel the sweet potatoes and slice them paper thin with a knife or a mandoline. Remove the tart shell from the fridge. Layer the bottom of the tart shell with sweet potato slices in overlapping concentric circles. Once the entire bottom is covered, paint on some melted butter and sprinkle on some cinnamon sugar. Repeat this layering sequence with sweet potatoes, butter, and cinnamon sugar until you have put down enough slices to reach almost to the top of the tart shell. You might need a little more butter and cinnamon sugar. Finish the tart off with a final sprinkle of cinnamon sugar. Bake until sweet potatoes are puffed, golden and caramelized on top, about 45 minutes. If the tart shell starts to get too brown cover the edges with foil. VARIATION: You can make this a savory tart. Leave out the cinnamon sugar and butter. Instead, warm 1/2 cup olive oil with 1 clove crushed garlic, pinch of salt, and a sprig of thyme. Set aside to infuse for 1/2 a hour. Paint each layer of sweet potato slices with the oil and some parmesan. Sprinkle parmesan on top of final layer. Bake until puffed and golden. Preheat oven to 300° F. Place sliced sweet potatoes in a bowl. Drizzle on a little bit of olive oil and a pinch of salt. Gently mix the sweet potatoes until each slice is covered with a thin layer of olive and salt. Add more olive oil if any of the slices feel dry. Line a sheet pan with parchment or a silpat. Line up the slices in a single layer on the sheet pan. Bake for 10-15 minutes. You want the heat low enough so that the chips dry out and get crisp. Don't let them brown. Using tongs, place the chips on a paper towel to cool. If your first batch is soggy, turn the oven temperature down for the next batch so they dry out enough to get crispy without browning. Store in an airtight container.